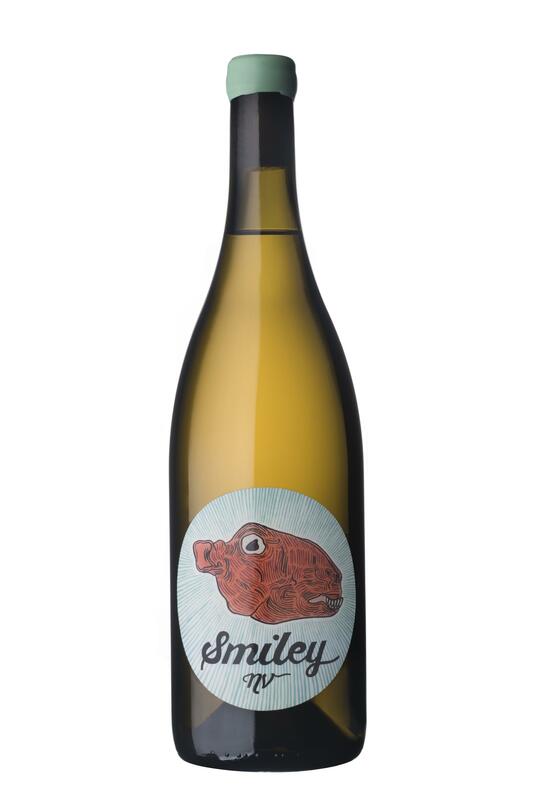 Winemaking Notes: The Smiley NV Chenin Blanc V2 is our second release of our multi-vintage Chenin Blend. Wines for this version were selected from four different vintages spanning 2013-2016. The wine is made from fruit sourced from multiple parcels on the granitic Paardeberg terroirs of the Swartland. The wines are all naturally fermented with nothing added. Fermentation takes place in a combination of seasoned oak barrels and stainless steel tank. The wine is matured in a combination of seasoned oak, stainless steel and glass demijohn. Post fermentation the wines are tasted and selected for ageing in a wide variety of different styles inspired by the white wines of the Jura and Jerez. Small batches are selected for under flor yeast ageing and others for Madeira style ageing to create characterful wines for the final blend. Once a year we draw from the various vintages of matured wines to blend with the fresh wine for bottling as the Smiley release. After fermentation is completed of the current vintage, various wines are tasted and selected for blending into the Smiley whilst others are held back for future releases. Tasting Notes: The nose presents with forward Chenin Blanc citrus notes of lemon pith, warm orange and stone fruits of peach and apricot. There are hints of waxy macadamia, pistachio and toasted almond nuts bringing forward the flor and Madeirised components. Mineral notes of slate, oyster shell, iodine, ocean mist and kelp are present after the wine begins to breathe finishing off with an earthy cedar and cinnamon-nutmeg spice fullness. The palate is weighty, round and full yet fresh, taut and zesty. Upfront the minerality of sea shells and Maldon salt are balanced with the liveliness of warm pineapple, lemon zest and fresh peach. The palate is rounded off with the richness of raw almonds, coconut shavings and pistachio shell. The texture is mouth-coating with chalky, pithy tannins with a persistent finish of tart, fresh lemon, orange peel and cardamom pods. Drink now until 2020. Best paired with seafood, white meat, game bird, fresh salads, sushi and tapas style meals of olives, charcuterie, pickled fish and cheeses.